I first had a variation of this drink called the “Cool Hand Cuke,” at the Ashmont Grill in Dorchester, MA. I then tried a much sweeter version called a “Dead Rise” at Legal C Bar in Dedham, MA. Lastly, while waiting for the rest of my party to arrive at Fugakyu in Brookline, MA (that’s a really great sushi place, I’m not secretly swearing at you), I asked the bartender to make me the drink below. It was such a hit that he was making them all night for the rest of the people in my party. This drink is probably my favorite drink of the summer. 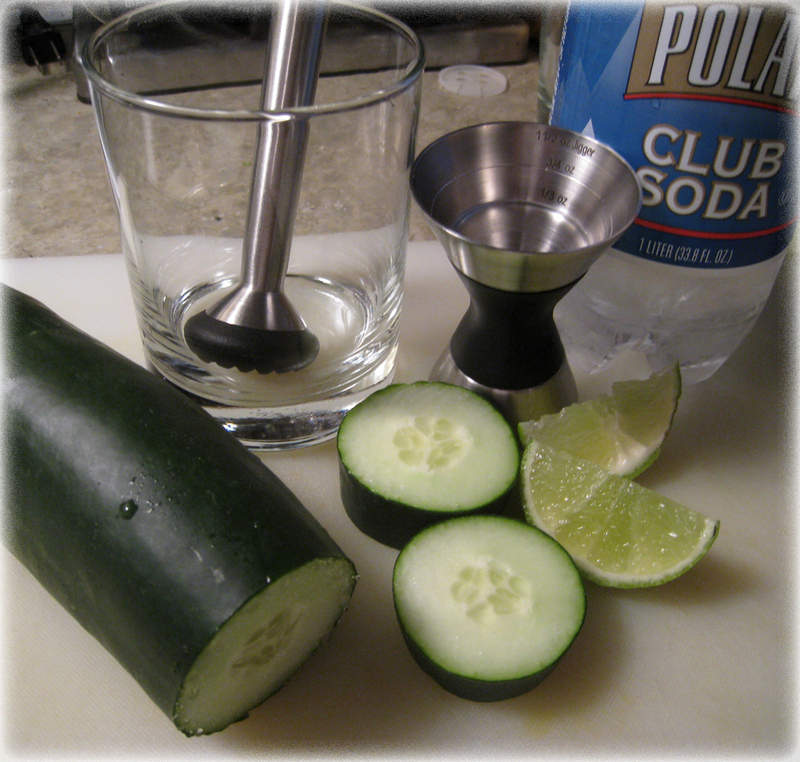 The cucumber makes it really refreshing and the lime cuts the underlying strength of the vodka. Did I mention this drink packs a punch? No? Well it does, so drink in moderation! 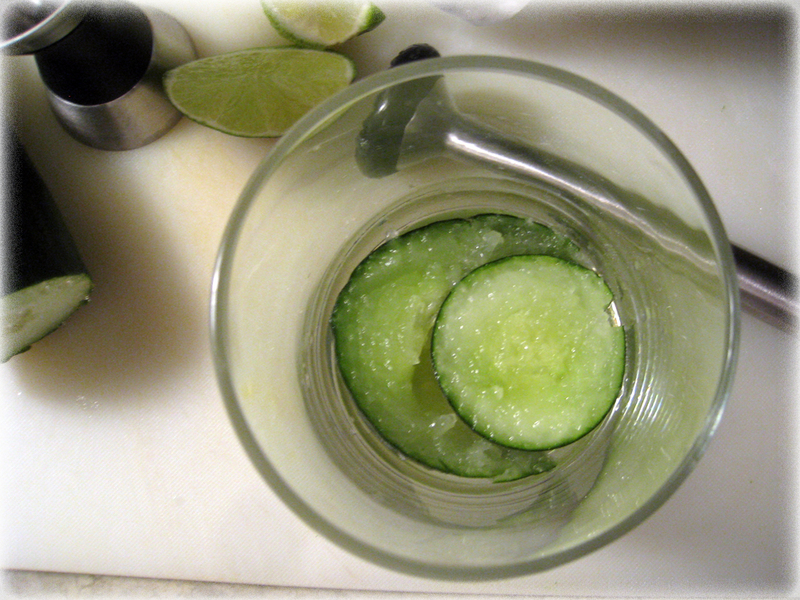 Take your cucumber and cut off two half-inch wide pieces after removing the end of the cucumber. If you have a muddler, place one of the cucumber pieces into your glass and gently crush it (you’re not trying to pulverize the cucumbers, just rough them up a bit and give them a few bruises). Note: If you do not have a muddler, you can use a clean meat tenderizing mallet on your cutting board, which is what I do. If you don’t have either of those just use a fork. Repeat with the second slice of cucumber. Place the ice on top of the cucumbers (this keeps them from moving around too much). Pour the vodka over the ice. Squeeze one lime wedge into the drink and drop the wedge into the glass. Pour the club soda in and mix the ingredients gently with a spoon. Garnish the drink with another lime wedge and/or a piece of cucumber. 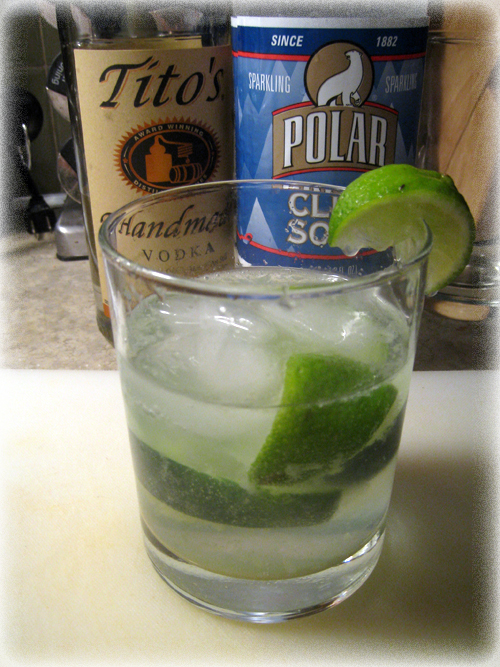 If this is too strong of a drink, you can use less vodka or just use a taller glass and add more club soda and lime.